Bragi is positioning The Dash as a jogger’s device, but this feels too narrow. I’m become a huge fan of Bluetooth headphones (the convenience far outweigh the poorer audio quality) and The Dash goes one step further by eliminating the wire that connects the two earbuds together. I’d prefer if Bragi double downed on music and increased the battery life from the current 3.5 hours to multiples more. Does it need to track steps and my heart rate given most in their target market already have a fitness wearable? Does The Dash really need 4 GB of storage? Instead of retailing for $300, could a simpler product retail at $100 instead? 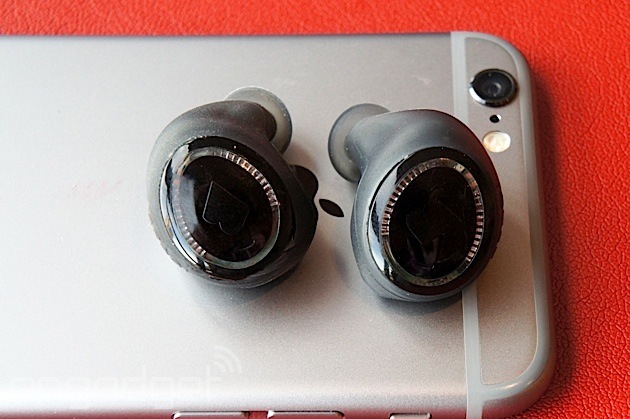 Maybe Bragi can pull it all off and give us an amazing converged device. I’m hoping for it, and if they pull it off, will be one of the first in line to buy it. Outside of Kickstarter.